I would like to propose a prism, or a tool, through which to view the activities going on in Washington, across the country and even across international organizations such as the UN. This prism is intended to force a very different perspective on how to assess what’s going on by providing a model which bins activities, laws, etc. into understandable strategic buckets. Organizations develop and use strategies to achieve their ends. Strategies serve as the blueprint for how organizations conduct their business, both near and long-term, fight to triumph over competitors, and act as flight plans for how they intend to get from where they are to where they want to be. Political parties, and even religious movements, are no different. As I witness what’s going on in the United States, and internationally, there are two major competing strategies at play. In order to highlight those two strategies, I will discuss them using reference to analogous strategy board games, which constitute the model mentioned above. The first game is chess. Let me say up front that I love the game of chess and hold it in high regard, but that is irrelevant in the context of this discussion. Chess is a Western game, and I would submit is analogous to how the Republican Party, its pundits, and organizations affiliated with it, approach politics, problems and solutions both at home and abroad. 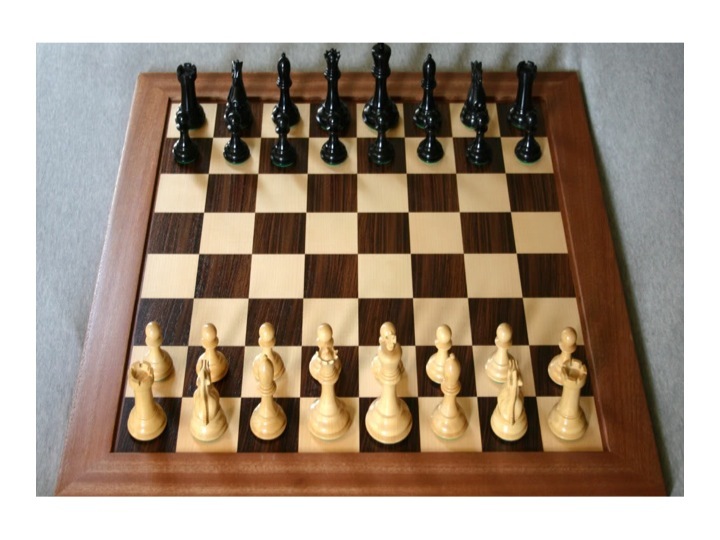 Many people are familiar with chess and how it’s played, but for those that are not, please follow this link for a more in-depth discussion on the rules. Simply stated the goal within chess is to check mate your opponent’s king in order to win. Along the way, players attempt to eliminate as many of their opponent’s pieces from the board as required in order to checkmate their opponent’s king. It often makes sense in chess to sacrifice one of piece in order to take a more valuable piece, or perhaps several, from one’s opponent. Chess, then, is essentially a linear mindset game where players trade piece for piece, blow for blow, in an effort to weaken one’s opponent to the point where they can no longer protect their king. The second game is Othello. I would submit Othello is analogous to to the strategy employed by the Democratic Party, its pundits, and organizations affiliated with it, approach politics, problems and solutions in the United States, as do a number of international actors. According to Wikipedia, Othello has its origins in China, as a simplified version of “Go”. As is the case with chess, follow this link for a more detailed explanation of the game. In a quick synopsis, Othello begins with only four pieces on the board, whereas chess begins with every piece. Each player takes turns placing one piece at a time on the board, eventually filling it up. Unlike chess, where players remove their opponent’s pieces, in Othello the strategy is to sandwich an opponent’s pieces between two of one’s own, which then turns all of those sandwiched pieces into your own color, effectively converting them from enemies to allies. This game requires a much different strategic mindset than chess, as the game becomes ever more complicated as the board fills up. The complexity, of available moves decreases in chess as the board is cleared of pieces. For those that have not played both games, you should! A few matches will serve to accentuate the applicability of these two games as surrogates, or models, for competing strategic mindsets in play today and in the recent past. The purpose of discussing these two games is to show the differences in thought and the diversions of strategy between the Republican and Democratic parties, and show the advantage one has over the other. Imagine a chess match where two opposing players were using different rules, one player according to the standard rules of chess, the other was using Othello-based rules. 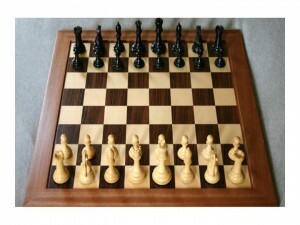 Each time the player using chess rules captured an opponent’s piece; it would be removed from the board. 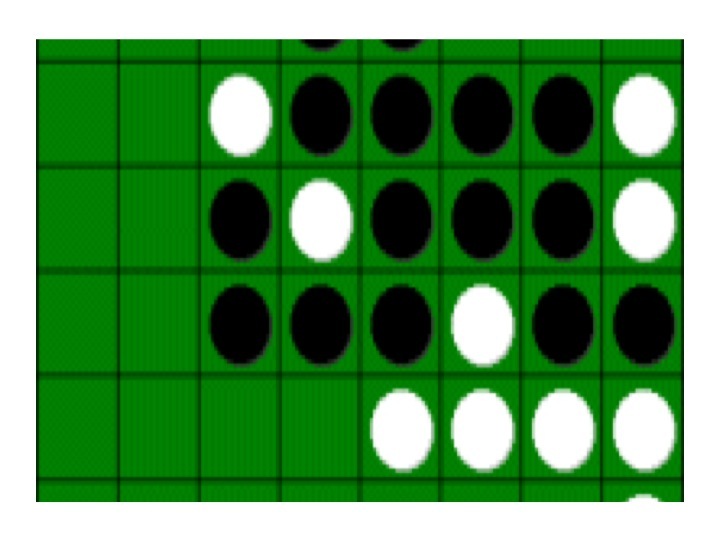 In contrast, when the player using Othello-based rules captured a piece, they would replace it with one of their own color and continue the game. It wouldn’t take long before an overwhelming advantage developed that would make the Othello player nearly unbeatable. That appears to be the situation that exists in the United States today politically. So long as the Republican Party and affiliated organizations play by a Western mindset and a chess like rulebook they will be at significant disadvantage to any organization, democratic or otherwise, that is playing by Othello rules. A few examples will help highlight these distinctions and I hope provide a very different lens through which to assess political activities, successes and failures. This model also suggests long-term strategies and means of successfully countering an Othello-based strategy. An obvious example of a chess strategy applied to the Electoral College and presidential politics involves focus on battleground states. Until a few years ago, the battleground states consisted largely of states like Iowa and Ohio, while states like Florida and Virginia were as solidly Republican as California and New York are solidly Democrat. The chess strategy of the Republican Party has focused on fighting it out for the battleground states. In doing so they have conceded a large portion of the electoral votes to the Democrat candidate, no matter who they are. The Othello strategy of the Democrats has focused on turning pieces (states) that were once solidly red, solidly Republican, like Florida and Virginia, into battleground states, and their eventual intent is to turn them into solid blue Democrat states. In effect they are turning Republican pieces into Democrat pieces and winning the electoral game in the process. There is discussion in the media today about Texas ever slowly creeping toward a purple state. This follows the Othello strategy. One has to wonder why there is no discussion of any blue states being discussed as turning purple and possibly read. The answer is the Republican chess mentality, which would dictate protecting your own pieces not changing those of your opponent. Instead, the Republican Party needs to adopt an Othello-based strategy to win turning blue states into purple and eventually red in addition to protecting red states and fighting for the battleground states. This may seem like a difficult task, and perhaps it is, but it is precisely what the Democrat party has been doing for years. The alternative is to continue to play chessand lose! An addendum to the electoral discussion above includes the ongoing immigration debate. Politico had an article titled “Immigration reform could be bonanza for Democrats”, which argues that approving the immigration bill would in ten years, lock in the electoral college for Democrats for the next generation. This is untenable for the Republican Party. An Othello-based strategy would suggest that any immigration bill must require a solution to this voting block. It might suggest that as a penalty for violating US immigration laws, none of the 11 million illegal immigrants can ever vote. They can never become US citizens either. They can stay and work, but never get the rights of US citizens. If they don’t like the deal, then they are free to leave. The result would solve all the professed problems used by progressives to drive the immigration debate in the first place, without compromising the US electoral process. Another quick example involves our children. A chess-based strategy for child rearing would suggest raising your own children, and instilling them with your values, which would result, all other things being equal, in political status quo. An Othello-based strategy would attempt to change that balance, which is precisely what occurs when the education system indoctrinates instead of teaches. The latest move requires five-year-olds to attend universal preschool. There can only be one reason, to change the political future by converting would-be republican minded children into liberal-minded adults. There a many other examples of these two strategies, which I will highlight over time. I’d be interested to hear comments on my theory, and where you see them in play. Mitch McConnell’s office was recently bugged and video was recorded that entailed members of McConnell staff speaking about operational research against the actress Ashley Judd. A good portion of their discussion involved statements that Ashley Judd had made in the past and what would be required to use those types of statements in a campaign against her should she choose to run for Sen. against McConnell. An interesting comment on the tape, which by the way may be a illegal wiretap, was a statement made by Judd when she indicated it was immoral for humans to breed. A decrease in the surface human population is a desired outcome by many on the left since the activities of humanity are destroying the planet in their minds. If it’s immoral for humans to breed. Ashley Judd is also pro-abortion. It makes me wonder if one of the reasons behind the left’s takeover of the school system is because of both of these beliefs. To what extent have those on the left sworn off having children? Or have they resolved themselves to procreating at less than a self sustaining rate? It’s very clear that they do support abortion en mass. Those two things combined provide a clear rationale for taking over the schooling of America’s children. If you’re not going to have enough children of your own to raise and perpetuate your value system, you need to find a way of taking the children that other people do choose to have and indoctrinating them with your values so that they continue. In so doing you not only increase the number of people that believe as you do, but at the same time you reduce the number of people who would grow up to have ideas and value systems contrary to your own. As such, it’s imperative for progressives to take over the school system not just from a basic indoctrination perspective, but also to make-up for the lack of birthrates that people like Ashley Judd openly oppose.